Big Red, Inc. is one of the top ten beverage companies in North America with a history dating back to 1937. Along with Big Red®, recognized as the number-one selling red soda, Big Red, Inc. also markets beverage brands Big Red Zero®, Big Blue®, NuGrape®, and Nesbitt’s ® products. Distributed widely throughout the Dr Pepper Snapple Group, Independent Bottlers and Pepsi Beverages Company, consumers across the country enjoy Big Red, Inc.’s beverages. 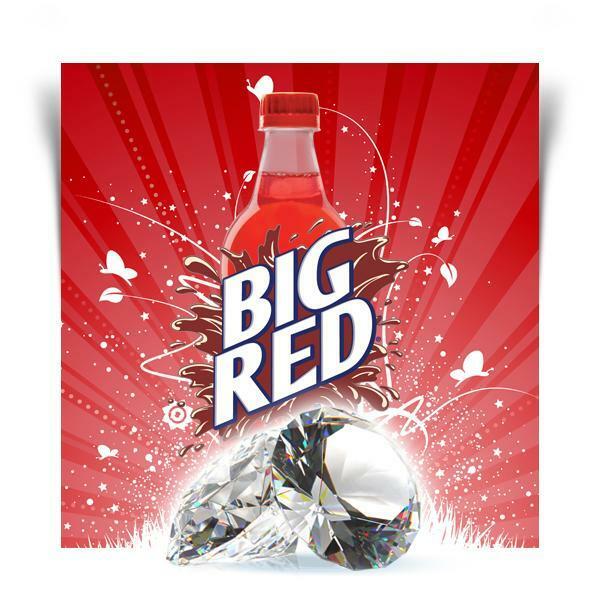 In honor of their 75th Anniversary, Big Red teamed up with us for their honorary diamond sweepstakes. One lucky winner, through a promotion on their Facebook page, got the chance to win a loose diamond from us worth $1,937 to commemorate the year Big Red was established. Over the past two decades, Brilliance has built a reputation as one of the leading retailers of diamond, engagement rings, and find jewelry. Each conflict free diamond is hand-picked by gemologists and is manufactured in the US by master jewelers. We offer thousands of certified diamonds as well as a large selection of fine jewelry and engagement rings. Visit Big Red’s Facebook page to see who the lucky winner is and to participate in their summer long under-the-cap point promotion starting May 14th. Specifically marked anniversary packages of Big Red and Big Red Zero 20 ounce, 2 liter and 12 packs will contain codes with different point values that consumers can redeem for vintage style Big Red memorabilia at BigRedPrizes.com.